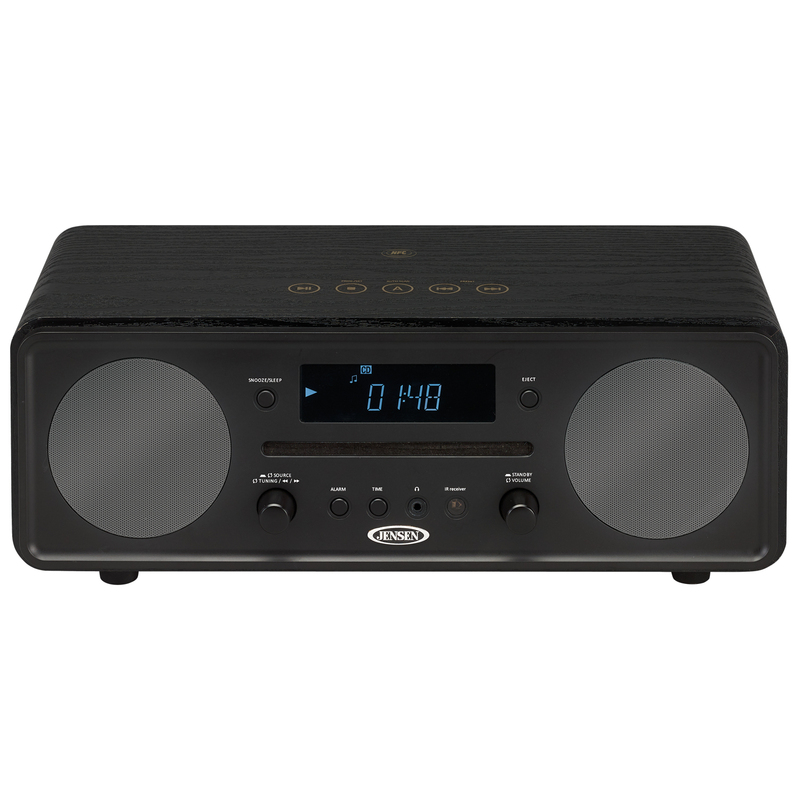 The JENSEN®JBS-600 is a stylish desktop audio system with amazing sound and convenient built-in features. The JBS-600 features Bluetooth wireless connectivity with NFC (Near Field Communication) for easy pairing. The front slot loading CD player plays standard store bought CDs as well as CDs made on your personal computer. 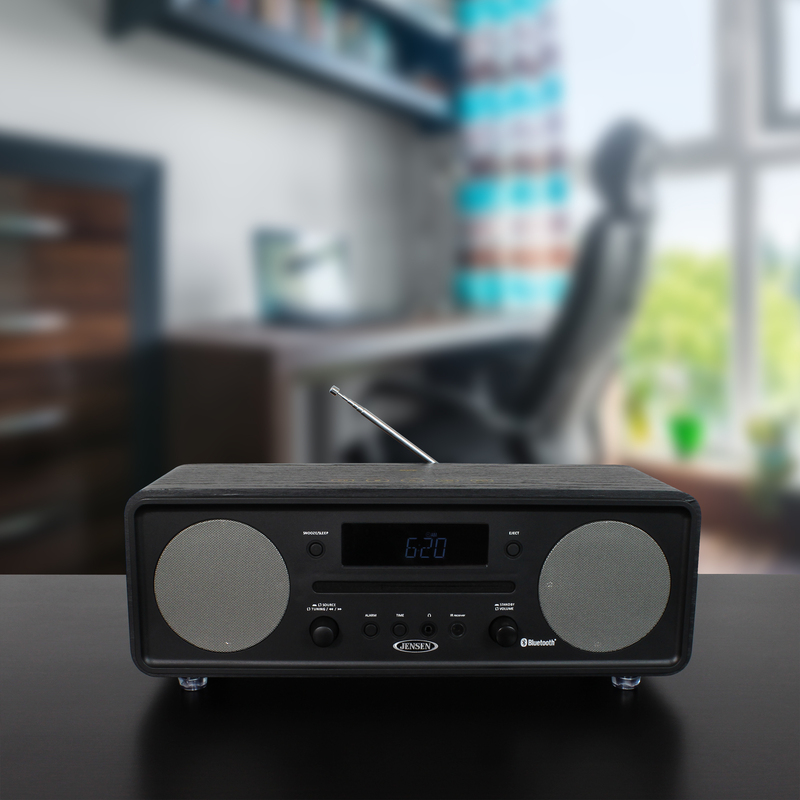 The JBS-600 offers a sleek, traditional design allowing it to seamlessly integrate with many different styles in the home or office. 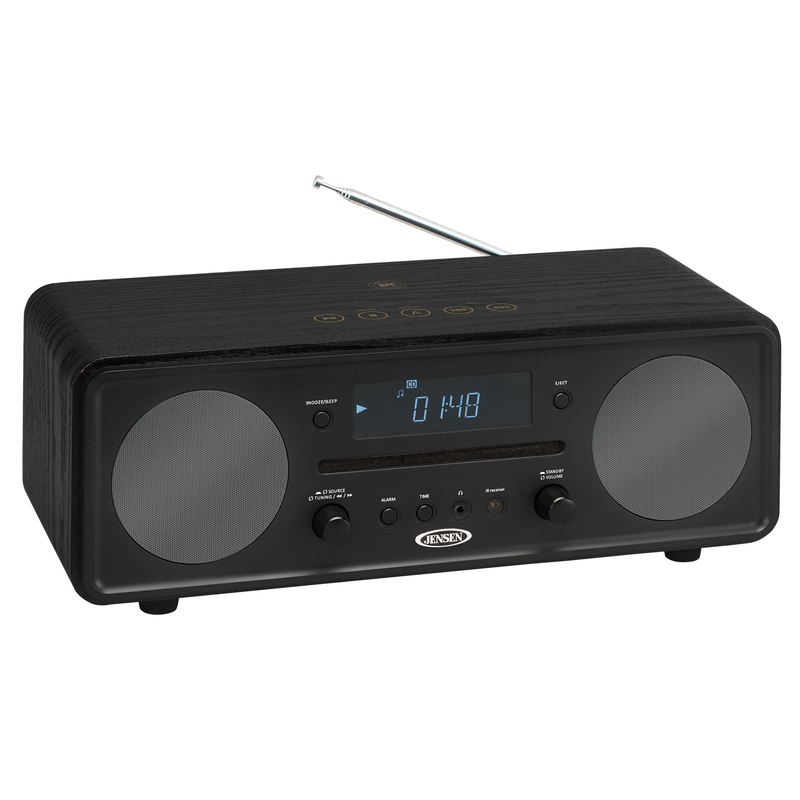 Along with the CD function is an AM/FM digital tuner with multi-function backlit LCD display. 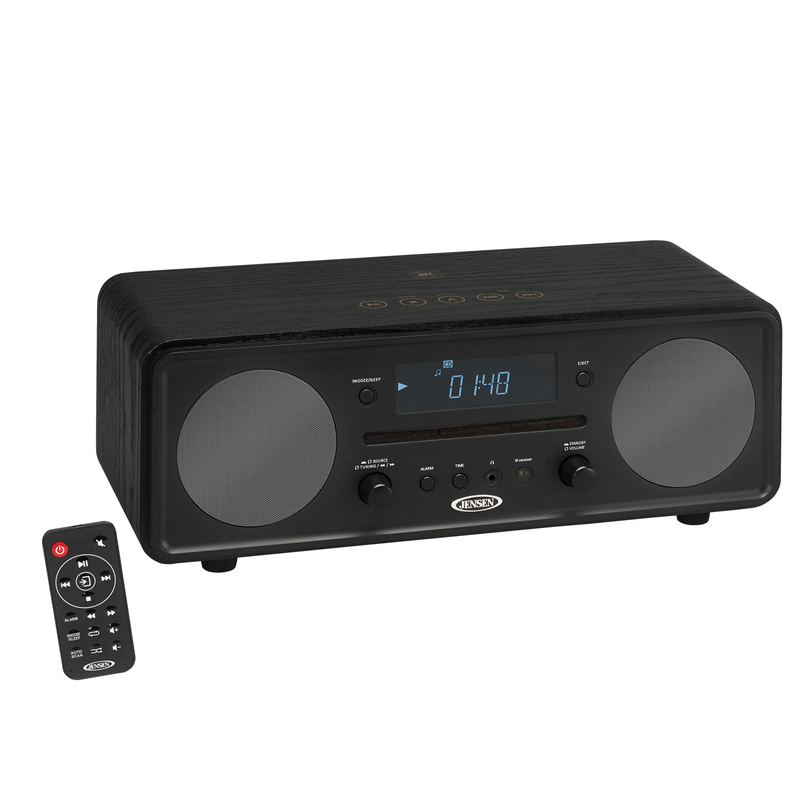 The unit also features an Aux-in jack, headphone jack, remote control, 2 x 10 Watts (RMS) output power, and operates using the included 120V AC Adaptor.